In 1630 a Swedish army under the command of king Gustav II Adolf crossed the Baltic Sea and landed in Germany. Sweden, at the time, was one of the poorest and most peripheral countries in Europe. They were going to war against the Habsburg Emperor in Vienna, the most powerful man on the Continent. The question is why. Why did Sweden go to war in 1630. This book tells the story. "Actions undertaken in order to establish this some­one are thus the more basic and they cannot be redescribed in rationalistic terms calcu­lations of utility gains and utility losses can make no sense until they can be attached to a cer­tain per­son." "Erik Ringmar has grasped a fundamental point that generations of historical analysts have usually missed: when state leaders intervene aggressively in world affairs, whatever material interests they might be advancing or defending they are always asserting claims to be consequential international actors. In the case of Sweden and the Thirty Years War, Ringmar presents that view convincingly and engagingly." Charles Tilly, Joseph L. Buttenwieser Professor of Social Science, Columbia University. "Ringmar has written a book of history which is also path-breaking in historiographical methods and in social theory. 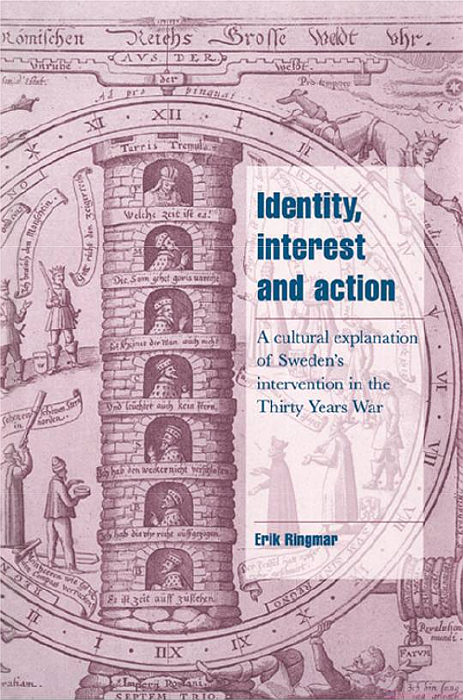 Ringmar's careful analysis of the personal, social and cultural circumstances leads us to understand why historians looked for an explanation in terms of interest, whereas the process of intervening in the war was rather to be seen as part of the process of identity formation of the new Swedish nation. The alternation of narrative and clear theoretical reasoning makes for a passionate reading." Alessandro Pizzorno, European University Institute, Florence. "Ringmar's book is an outstanding illustration of a very imaginative historical analysis of the emergence of a modern state -- Sweden. The analysis combines the evaluation of ideological and cultural factors together with power ones, especially in relation to the new international political and ideological system which emerged after the Reformation. I see it as a very important contribution." S. N. Eisenstadt, The Hebrew University of Jerusalem.